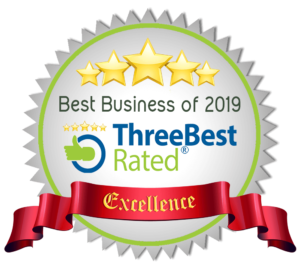 Alaska Clear Glass is a locally owned and operated window cleaning company dedicated to excellence. We have friendly administrative staff, skilled technicians, and easy payment options. We offer the best start to finish experience in the industry. 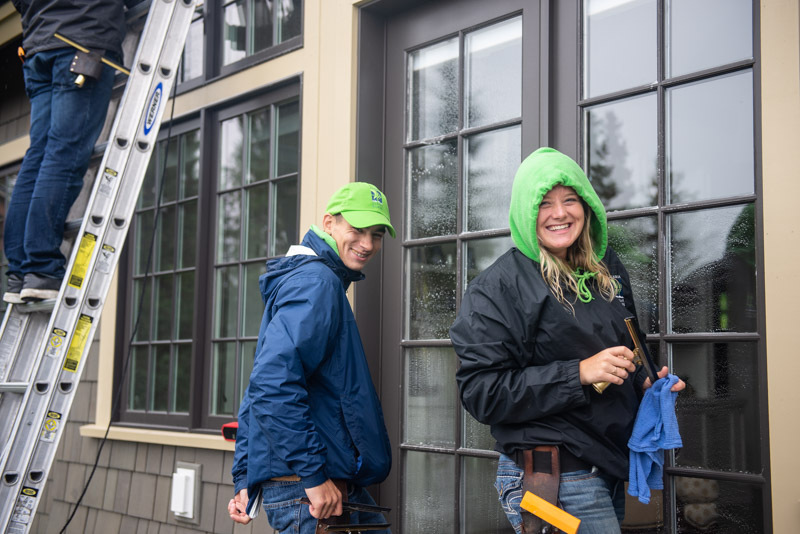 Alaska Clear Glass offers year round, hassle free window maintenance for our commercial clients as well as seasonal residential services. We look forward to serving you. Alaska Clear Glass is Alaska's Clear Choice in window washing! We wash windows and deliver superior results! We are the experts! Because we desire to be the BEST at window cleaning we maintain a singular focus. This has set us apart from our competitors. By focusing on one thing we have become the experts! If you want your job done right choose us! Satisfaction is guaranteed! 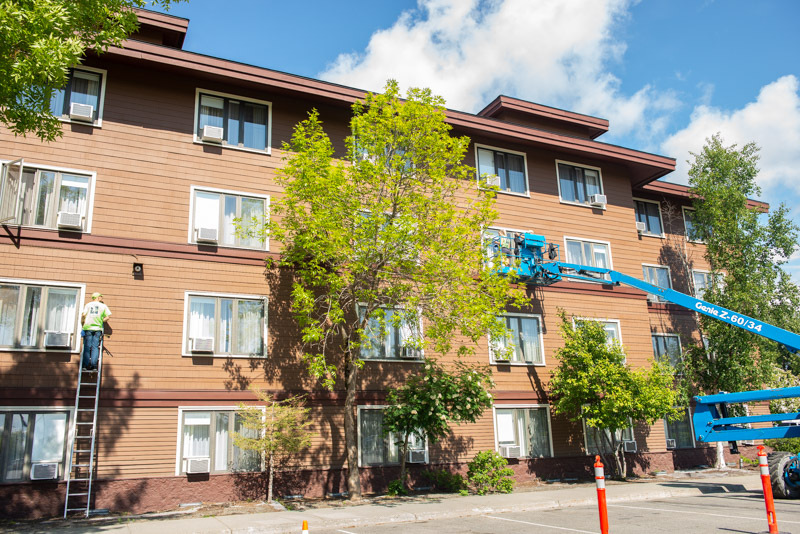 For over 35 years, we have been trusted to serve Anchorage area business owners with professional window cleaning. We understand the importance of curb appeal for your customers and we want to help you make a great first impression. Our goal is to make our clients' businesses shine! Click "Get A Quote" below to get started! We understand that your home is your haven and it's our privilege to make it a beautiful environment for you through sparkling clean windows! Our crew is respectful and careful while serving you in your home. We will treat you the way we would want to be treated. We are fully licensed, bonded and insured for your protection and peace of mind. Click "Get A Quote" below to get started! Molly, Ashley and Eli cleaned several of my windows, including four that had several years’ worth of accumulated dirt and grime — a real challenge. They were pleasant, professional and helpful, and I was delighted with their work. My windows look amazing and the crew was fabulous!!! Molly, Eli & Jacob were professional and efficient. Will definitely be using AK Clear Glass again! Outstanding job! Fast, efficient, excellent. My windows gleam. Your team was so enjoyable. We had a wonderful experience with Alaska Clear Glass! I underestimated how bad my windows were until I saw the finished product. Both Caleb and Jacob were professional, efficient, and were very helpful! I highly recommend everyone to try it even one time! Your windows will not be the same! Want to work outside, be a valued member of a team and have the opportunity to earn bonuses?